You are here: Home / Beauty / Olay Regenerist Advanced Anti-Aging Cream Cleanser: Is it Really Effective? Every time this beauty brand graces the pages of the advertorials or pops out on the TV screens for endorsements, anti-aging products often take the spotlight. They have got a flagship that exhibits a huge collection of anti-aging products which have become quite popular among women. No wonder a lot of Olay products have stacked the shelves of every beauty store. One of their products that carries out the anti-aging formula is the Olay Regenerist Advanced Anti-Aging Regenerating Cream Cleanser. It is formulated to deeply cleanse the skin while regenerating the skin cells and a great addition to your daily beauty regimen. Pretty compelling, isn’t it? But is it really effective, as everyone claims it to be? You’re probably here because you are eager to know. Don’t worry. We will help you out! Olay Regenerist Advanced Anti-Aging Regenerating Cream Cleanser does wonders on a skin that goes through the signs of aging. With its Regenerist formulas and key anti-aging ingredients, your skin can truly benefit from younger-looking, fresher, and clearer skin. 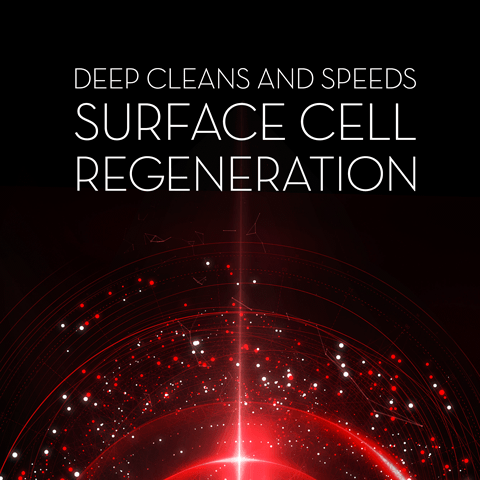 It speeds up the natural surface regeneration that transforms the skin to be younger-looking. It thoroughly cleanses the skin and clears the impurities. It gently exfoliates the skin and leaves it smooth and soft. It enhances the skin’s texture without drying it too much. It is applicable for daily use and can be used before applying makeup and to cap the night off. As it regenerates the surface skin cells, fine lines and wrinkles can be diminished. Olay Regenerist Advanced Anti-Aging Regenerating Cream Cleanser is defined with piles of benefits that every woman is hoping to achieve without going under the knife or taking expensive treatments. The Regenerist formula is somewhat enthralling; it plays an essential role in the skin’s regeneration. Hence, a youthful and better complexion. The effectiveness of this anti-aging product is still the question. In response to all your bits of concerns, I’ve come up with this comprehensive review that’ll help you understand how it can affect your skin. It is a Regenerist Regenerating cream cleanser that is formulated to help you fight off the signs of aging and give you a much younger-looking skin. It gently exfoliates the skin, speeds up surface skin regeneration, and enhances the skin’s texture. This Olay anti-aging cream cleanser swears by these three beneficial results. The advanced anti-aging formula highlights its power to penetrate the skin and gently exfoliates its impurities. The fascinating part is the merging power of regeneration and smoothing. It encourages the skin cells to regenerate naturally to deliver transformative results for a more youthful skin. As it the anti-aging properties function, this cleanser smoothes the skin, tightens it, and makes it plumper. It is formulated with the key anti-aging and skin-enhancing ingredients: glycerin, salicylic acid, vitamin B5 and Vitamin E. Glycerin is a natural emollient that is responsible in treating acne, skin infections and signs of aging such as fine lines and wrinkles. Salicylic acid, on the other hand, works to clear the impurities in the skin like clogged pores, blackheads, whiteheads and potential skin issues that can cause acne. Vitamins B5 and E play a vital role in providing hydration and fighting off free radicals for a younger-looking skin. It foams well, feels clean, and doesn’t feel very greasy. Upon using it, I’ve noticed bits of pumice in the cream which feels like a gentle scrub on the face. Not harsh but I could actually feel the exfoliation process as I massage it all over the face. Although this cream cleanser stands out among Olay’s anti-aging collection, it has its pitfalls, too. Some find the pumice bits soothing while others think otherwise. In my case, it is no big deal but I do find some tiny residues after washing. Whether you’re in your mid-20s or over 50, your skin can experience its benefits that fight off aging signs, tighten the skin, improve its texture, and make it even more youthful than ever. It works on women with dry, normal, combination, or oily skin. If you’re also just looking for an exfoliating cleanser for daily use, Olay Regenerist Advanced Anti-Aging Regenerating Cream Cleanser would be an excellent pick. 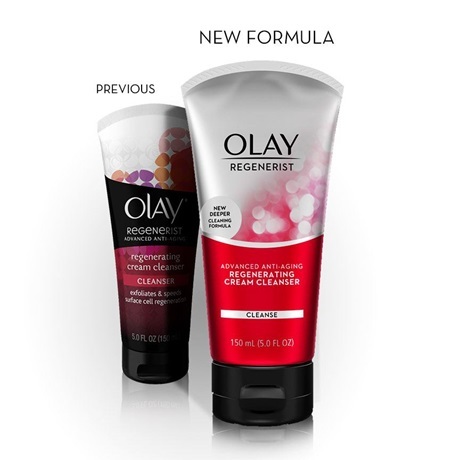 Is Olay Regenerist Advanced Anti-Aging Regenerating Cream Cleanser worth trying? Is it really effective? With regular and proper use, yes, it is effective. As for me, I’ve dealt with acne problems, fine lines, and clogged pores and it took just several weeks to notice the differences. However, the results may still vary from one person to another. Every person has its own skin type and beauty routine which can be significant factors on how effective the product will be on your skin. Peter Thomas Roth Anti-aging Cleansing Gel Review!